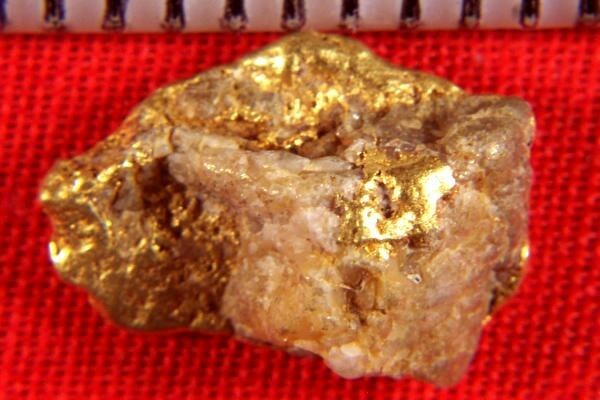 Natural Alaskan Gold Nugget - 1.8 Grams - - It's Free! This Alaskan Gold Nugget is all gold on one side and has some quartz showing on the other side. It is a real beauty. The gold content is 1.53 Grams and the weight of the nugget including the quartz is 1.8 Grams. The size of this beauty is 1/2" long x 3/8" wide. 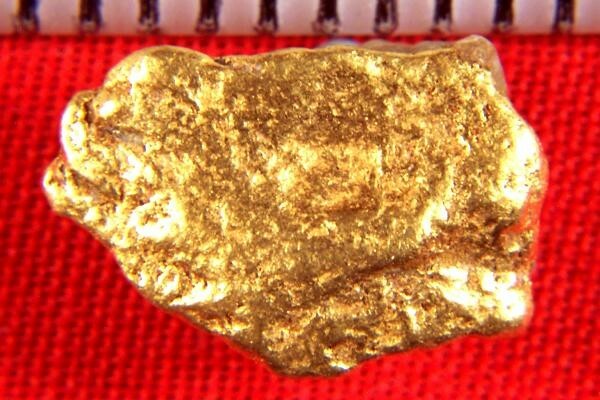 The rich color of the gold is typical of these Alaskan Gold Nuggets. Shark Shaped Gold Nugget from B.C.